Origins Leg Lifts To Rev Up Tired Legs Review: Is It Really Good? What Is Origins Leg Lifts To Rev Up Tired Legs? Enhance blood and fluid circulation which removes blockages and leaks from your system and drains these from your body. Deliver the therapeutic power of herbs and other botanical ingredients to relieve aches and pains. However it contains fragrance which could lead to skin dryness. What Are The Ingredients In Origins Leg Lifts To Rev Up Tired Legs? Cypress: Has a soothing and calming effect on aching muscles and veins, enhancing fluid circulation in the process, and, with long-term use, also strengthens and tightens your skin surface, making it more resilient to bulging from fats and to damage. Butylene Glycol: This ingredient is a colorless organic alcohol used as a solvent and as a conditioning agent.this ingredient can cause a rashes and other forms of irritation in individuals with sensitive skin. Relax and apply a generous amount of Origins Leg Lifts to Rev Up Tired Legs to affected areas then, vigorously massage in the product to incorporate the product well into your skin as the massaging action enhances local circulation. Use anytime, anywhere, whenever the aches and pains become apparent. 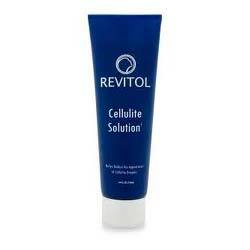 Gives tired muscles almost instant relief from aches and pains. Helps improve circulation which positively impacts your overall health and well-being. However there are very few reviews backing this claims. 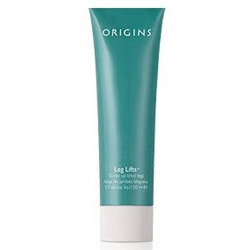 An Origins Leg Lifts to rev up tired legs review highlighted the multiple functions of this product which includes relief from muscle pains and headaches, and better moisturized skin. This product is formulated with fragrance ingredients, menthol and peppermint, ingredients that can cause irritations, most especially among people with sensitive skin types. This product uses phenoxyethanol, a neurotoxin, as a preservative. An Origins Leg Lifts to rev up tired legs review may not be a good reference when making a go or no go decision about this product as user reviews are limited. Origins Leg Lifts to Rev Up Tired Legs have the ingredients to bring you instant relief from muscle aches and pains. However, it lacks ingredients that will have any lasting effect to improve the numbing pain that you feel, most especially if it’s chronic.